As a child, LeDerick Horne believed he did not have much of a future. But despite being classified as neurologically impaired in the third grade, LeDerick has become a successful spoken word poet, playwright, motivational speaker, entrepreneur, and advocate. Using his gift for spoken word poetry as a teaching tool, LeDerick has been recognized across the country as a motivational speaker and advocate for people with disabilities. After graduating with honors from New Jersey City University in 2003 with a BA in Mathematics and a minor in Fine Art, LeDerick released Rhyme Reason and Song (2005), an album of his poetry set to music, and he co-created and performed in New Street Poets, a spoken word play addressing gentrification’s affect on urban culture. The play was first staged in 2005 at the Tony Award winning Crossroads Theater in New Brunswick, NJ. New Street Poets received great critical acclaim at the New York City International Fringe Festival in 2007, and is currently touring throughout the northeast. LeDerick has presented to groups from the students and faculty at Harvard University to the youth and staff at correctional facilities. His message addresses increasing confidence, academic performance, self-determination, and self-advocacy by challenging conventional teaching styles and asking his audience to look beyond negative labels. From 2003 to 2012 LeDerick served as Board Chair of “Eye to Eye” (eyetoeyenational.org), a national nonprofit which provides mentoring programs for students labeled LD/ADHD. He released his second collection of poetry called Black and Blue in the spring of 2011. 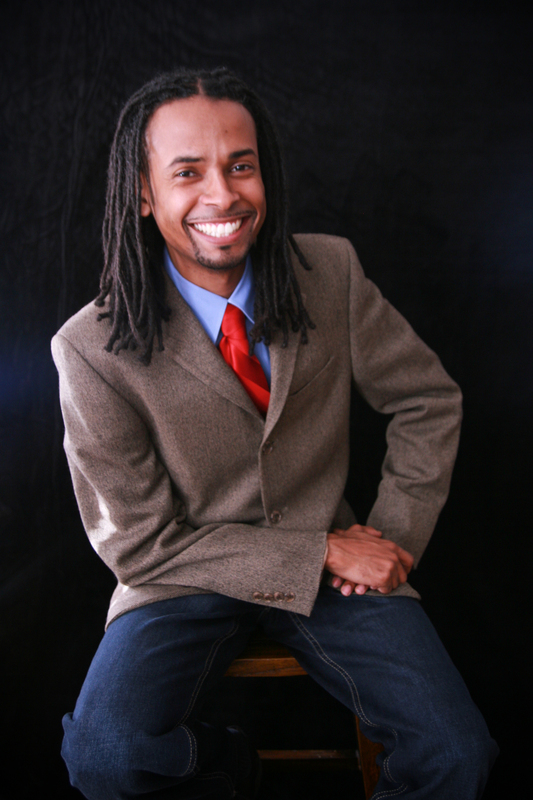 LeDerick has facilitated workshops, delivered keynote presentations, and spoken to thousands of students, teachers, and service providers about his experiences.